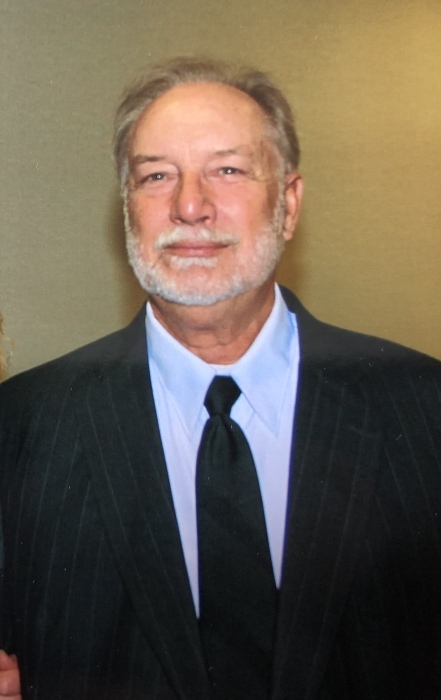 Gary Lee Ronken, age 70, of Spring Valley, MN passed away unexpectedly on February 11th, 2019 at his home. Gary Lee Ronken was born in Rochester, MN on May 26, 1948 to Harvey and Maxine (Howard) Ronken. He attended school in Spring Valley and graduated in 1966. Gary enlisted in the U.S. Navy on January 11, 1967. During the Vietnam War, he was stationed on the USS Intrepid as a Hook Runner and later promoted to Deck Edge Operator. He was honorably discharged on October 12, 1970. After returning to Spring Valley, he married Kathy Finley, daughter of Don and Doris Finley on January 21, 1973. Together they had three children and enjoyed spending time fishing, hunting, camping and boating with his family and extended family. Gary loved to fish. He enjoyed his yearly fishing trips with Kathy to Northern Minnesota and Canada. The trip enjoyment was amplified if his grandchildren or children were along. He was an avid fan of trap shooting both competitively and with family and friends. Besides the fishing and camping excursions, he enjoyed attending all of his grandchildren's activities and events. Gary retired December 2014 from SEMA Equipment in Leroy MN where he was a John Deere salesman. He enjoyed visiting with his customers and always managed to find someone he knew no matter where he was. Gary is survived by his wife of 46 years, Kathy, three children and four grandchildren -- Gary Ronken Jr and son Finn of Canton, Joe and Skye Ronken and sons Owen and Aden of Dodge Center, and Rebecca and Matt Jacobson and son Colton of Spring Valley. He is also survived by siblings Howard (Joyce) Ronken of Kenyon, Sharon (Vernon) Jahn of Bloomington, Evelyn Rios of Centennial, Colorado, Emore (Bonnie) Ronken of Rochester, Victor (Joanne) Ronken of Rochester, Lois (Terry) Petersen of Brainerd, Betty (Perry) Bowen of Burnsville and many nieces and nephews. Gary was preceded in death by his parents and two brothers - Jim and a brother in infancy.